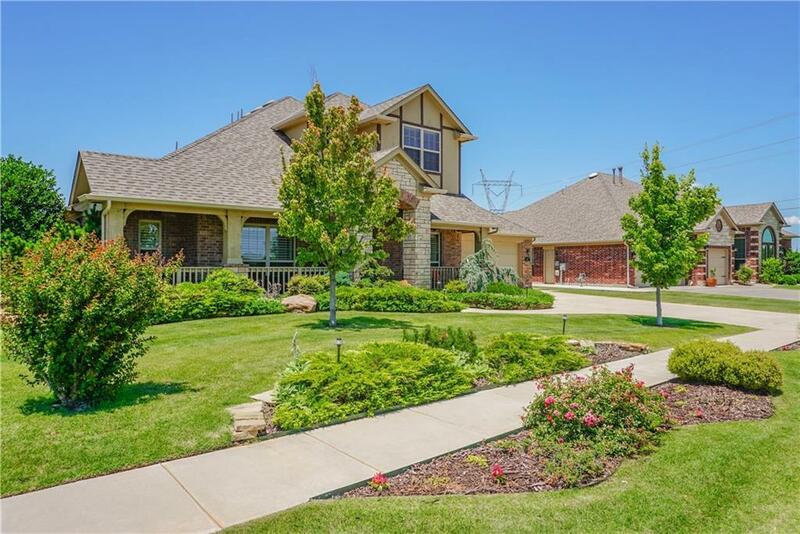 Spectacular custom property loaded with upgrades in Northwest Norman. This home with a triple split plan features large cook’s kitchen with quartz counters, center island, vegetable sink, pot filler, double ovens a warming oven and walk in pantry. Loads of counter space overlook a bright living with built ins and a fireplace. Each bedroom features it’s own full bath. An ample study with book shelves is across from a formal dining and powder bath. The upstairs space is equipped with a full bath, kitchenette and walk in closet. It could serve as second master suite, guest space or media room. The oasis like back yard features a large covered patio, outdoor kitchen, custom pool and hot tub. You will love this space with drought tolerant landscaping and unprecedent views of scenic Oklahoma sunsets!